Permeation grouting is the longest-established and most widely used pressure grouting technique. 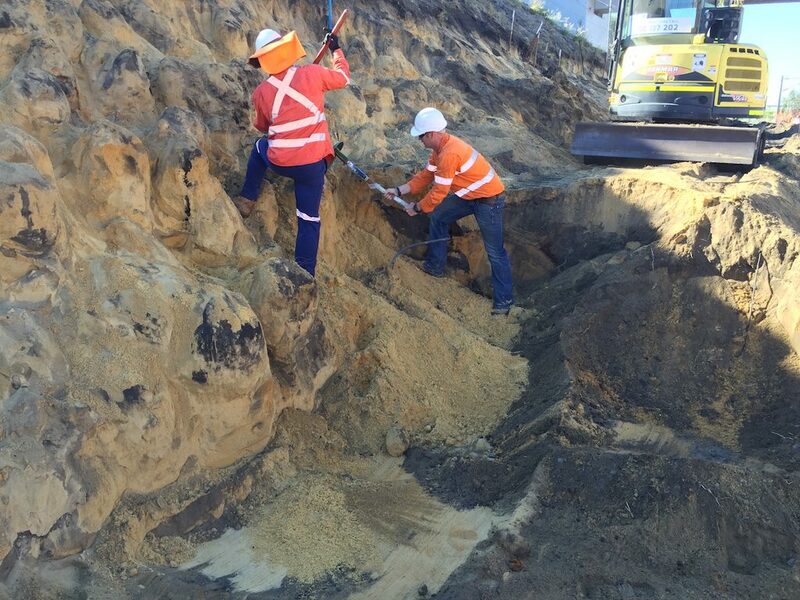 It involves the filling of cracks, joints, or other small defects in non-cohesive soils, sand, or other porous media. Instability in coastal locations can cause significant structural problems during and after the building process. 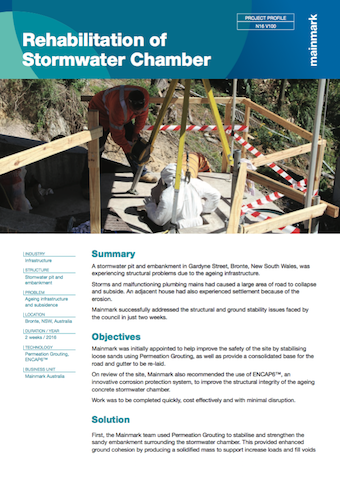 Soft ground settlements, sinkhole problems, and rock fractures are often the types of problems that can be sustained when buildings and structures are built on sandy soils or gravels. 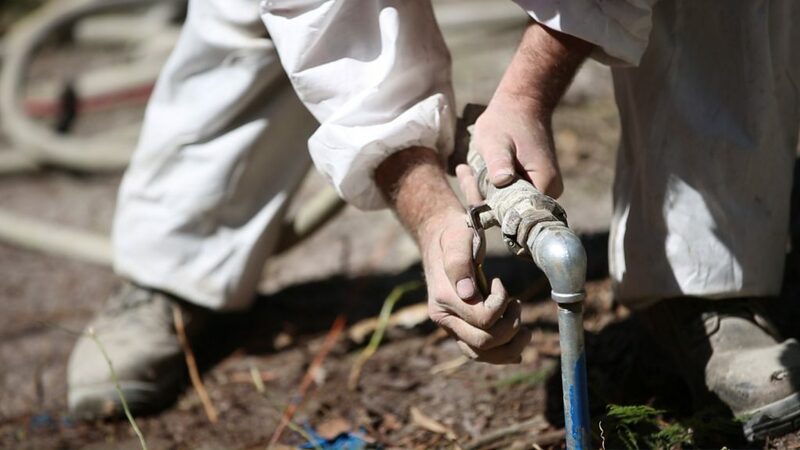 Permeation grouting helps strengthen sands and gravels, and repairs structural formations. The process produces a solidified mass to support increased load and fill voids in the soil. 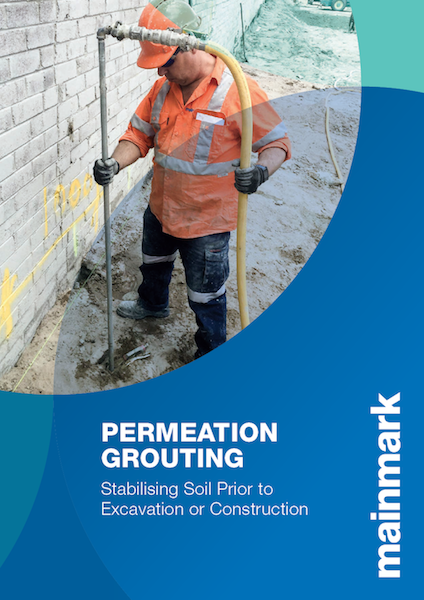 Permeation grouting is used for the agglomeration and solidification of unstable gravels, sands and other non-cohesive soils at depths as great as 60m. Most often we apply this technology when excavation is required adjacent to a building or other structure that is set on non-cohesive foundation soil or other unstable ground. That is usually a situation where safety is paramount. 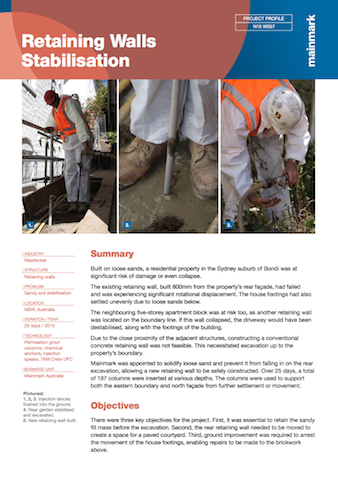 Microfine cement or sodium silicate in liquid-form is introduced via permeation spikes (or injection lances) into the area and at the depths to be treated, bonded and contained. This liquid permeates the soils to bond the in-situ particles firmly together. It can be used during swimming pool construction to stabilise sandy, non-cohesive soil, to stop it slipping during excavation. The procedure involves permeating and filling the soil pore spaces without any significant disturbance to, or movement of, the individual soil grains. This is important so as not to change the soil structure. Careful planning of the injection matrix is then critical to satisfactory cohesion. The areas and depths for permeation are pre-determined. And the volume of permeation liquid to be injected at each point in the matrix is calculated to ensure thorough cohesion of the soils.